The Bulgarians are a small people of about 8 million, one million of which live abroad. In many ways, Bulgarians make their mark in different areas, including art and science. These ten Bulgarians take crazy adventure journeys, they fly big machines across oceans, they shoot rockets into space, they promote their country, teach its children, and endure hardships. This is an incomplete list of impressive young Bulgarians who would have to be born if they did not exist already. 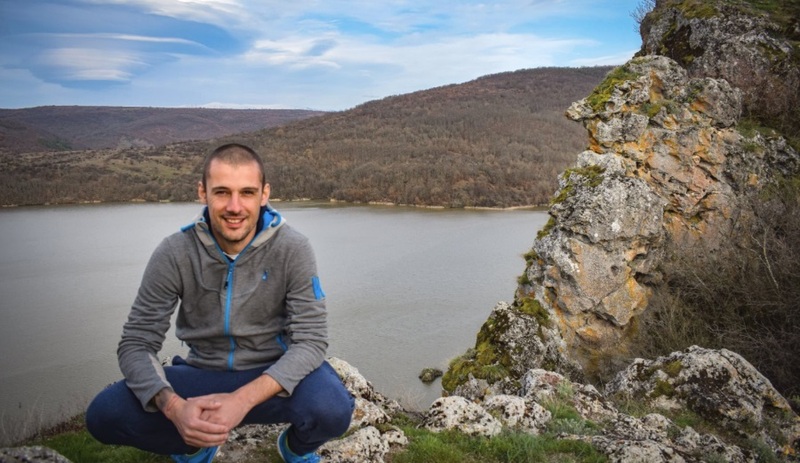 Vilian Stefanov (34): The adventurer and photographer has walked his entire country. First he crossed Bulgaria from south to north, on foot and in his canoe. Then he walked from the western edge all the way to the Black Sea. His adventures and photos are already part of a book (in Bulgarian). Now he is getting ready for the big one: A trip around the world. One thing is certain: Vilian Stefaov is unstoppable. Nikolina Angelkova (38): She has been the Bulgarian Minister of Tourism since November of 2014, with a three-month break in between. And she has been working like a dog ever since. Her goal is to increase the number of tourists in Bulgaria, both foreign and native, and to turn her country into a year-round tourist destination. Nikolina Angelkova is also working on improving the quality of offers for tourists. The minister visits tourism fairs all the time, where she talks to hundreds of people while presenting her country. She might be the busiest government member of them all. 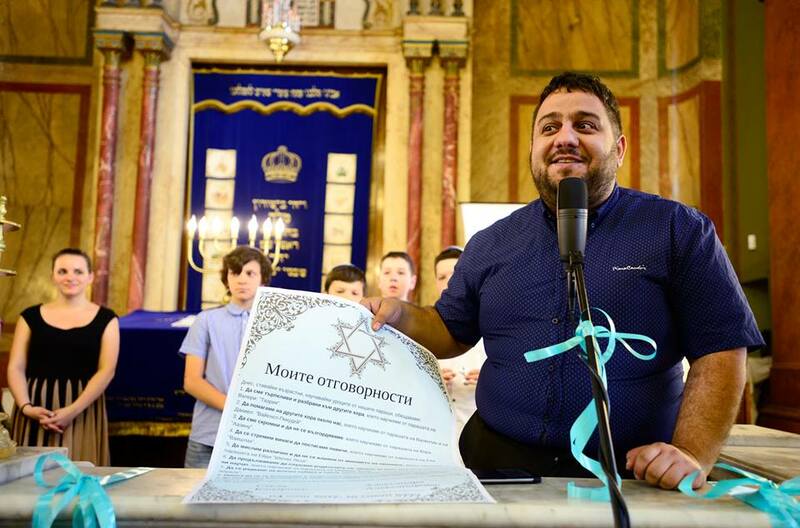 Maxim Delchev (32): He is an educator who studied in both Bulgaria and Israel and plays an important role in the Jewish community in Sofia. This applies to the congregation and the secular organization Shalom. 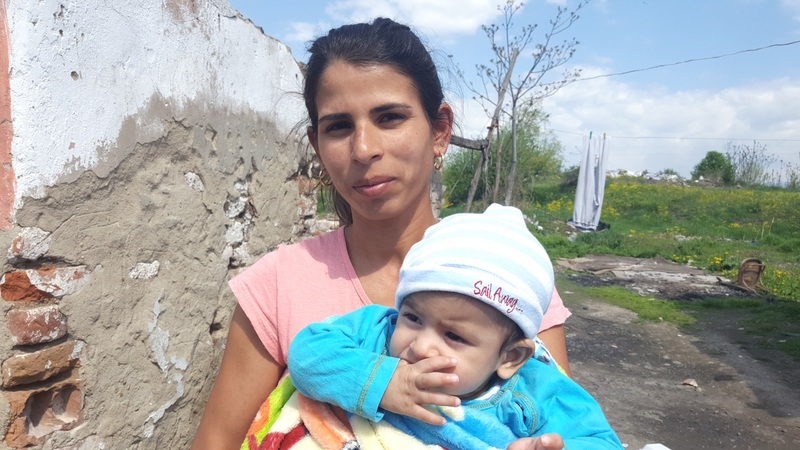 In connection with a huge educational project Shalom is preparing, which includes a new school and a new kindergarten, Maxim Delchev is one of the most important people involved. Children and education are his life. Margarita Marinova (42): She is a liquid rocket propulsion specialist who works for SpaceX, the space transportation company founded by Elon Musk. Born in Bulgaria, she moved to Vienna and Toronto with her parents when she was a child. Later, she completed her Bachelor in Aerospace Engineering at M.I.T. in Cambridge (Massachusetts), one of the most prestigious tech universities on this planet. Margarita Marinova definitely makes things move. And lightning fast. Mario Bakalov (38): This gentleman has traveled to the moon eight times. At least that is the distance he has covered as a Lufthansa pilot. He is the only Bulgarian who flies the German airline’s big steel bird, the largest passenger plane on Earth, the Airbus A380. Once he even took it for a spin to Sofia, some two years ago. On top of the flying, Mario Bakalov is a freelance motivational speaker. He tells people how to achieve dreams, which is exactly what he did. At age 5 he decided to become a pilot. Guess what he became. This lady (approx. 28): A Bulgarian mother of Romani origin is forced to bring up her little son on a pile of rubble. Sofia Municipality had her former neighborhood destroyed, a total of 70 houses. Those were built illegally, meaning the authorities may have had the right to remove them. But the NGO Bulgarian Helsinki Committee says the city did not have the right to leave the inhabitants homeless. This mother is one of those affected. In spite of her difficult situation, she seems very determined. Anna Dimitrova (41): She had just become a teenager when communism collapsed. 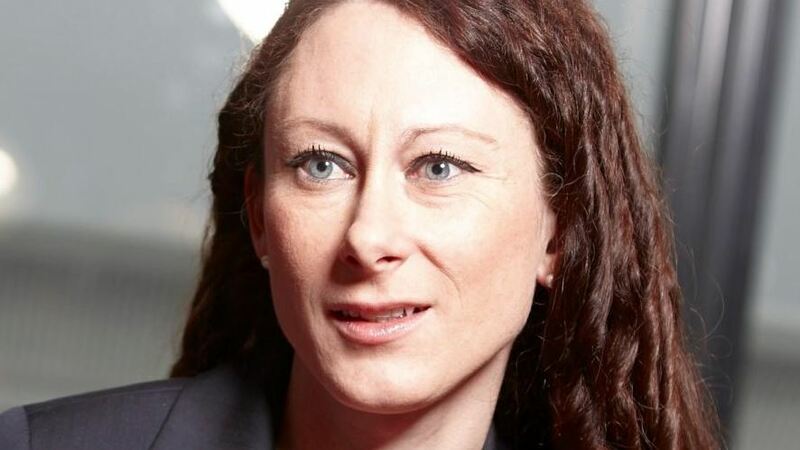 Today, she heads the Strategy and Digital division at the telecommunications giant Vodafone in Germany. Anna Dimitrova says she has never been discriminated because of her gender. But she did run into prejudice due to her Bulgarian origin. This made her furious, she told the German “Handelsblatt” daily. Twenty-one years ago, she became a student in Germany. A year ago, she was named one of Vodafone’s top managers. The lawyer and politician Hristo Ivanov might save Bulgaria one day. 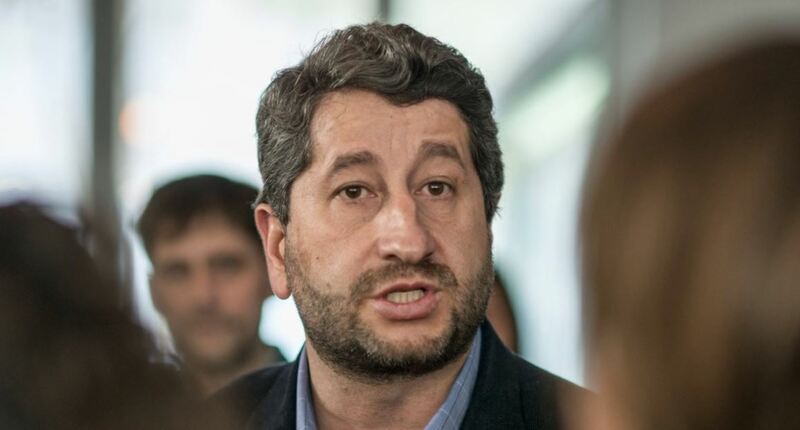 Hristo Ivanov (43): If Bulgaria needs a hero who saves the country, it might want to try Hristo Ivanov. The law expert resigned as Justice Minister when an anti-corruption law he supported was turned into jelly at the National Assembly in Sofia. Ivanov, who has established himself as a credible fighter for justice, against corruption and against the mafia, co-founded “Yes, Bulgaria!”, a political movement which almost made it into the National Assembly during the last parliamentary elections. Radoslav Stoyanov has been fighting for the rights of Bulgaria’s LGBTI community for a long time. Photo: Imanuel Marcus. 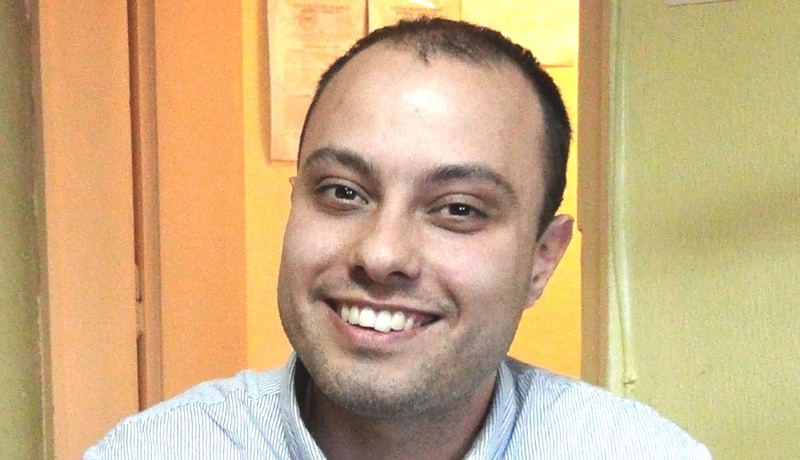 Radoslav Stoyanov (30): He is one of the most important figures in the growing movement which fights for the rights of the Bulgarian lesbian and gay community. A long time ago, he was among the first to contribute LGBTI topics on Wikipedia, in Bulgarian. 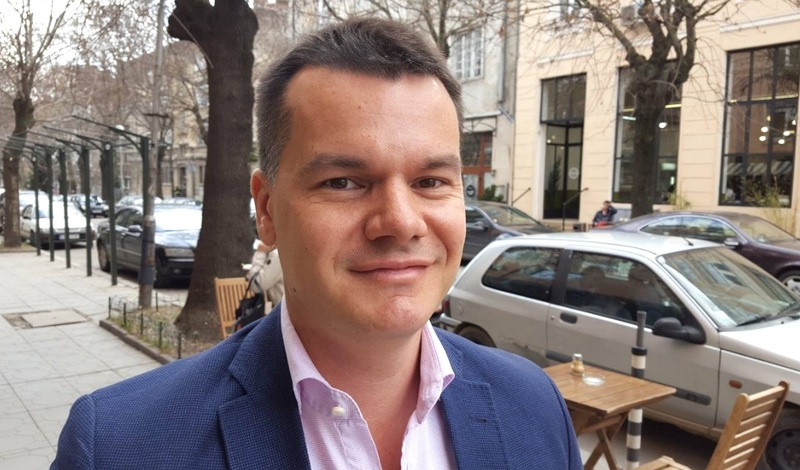 Today, he is part of the Bulgarian Helsinki Committee and the organization behind the Sofia Pride Parade. Without Radoslav Stoyanov’s persistence and efforts, recent successes would not have happened. Here is another determined Bulgarian. Alexander Balkanski keeps his circus alive. Photo: Imanuel Marcus. Alexander Balkanski (47): The oldest “young Bulgarian” listed here is the artistic director and one of the owners of Circus Balkanski, which was founded in 1820, 198 yeasrs ago, by his ancestors. Today, the artists, who keep on mesmerizing their audiences, consist of Alexander Balkanski himself, his children, his wife, his brothers, nephews, nieces and sisters-in-law. 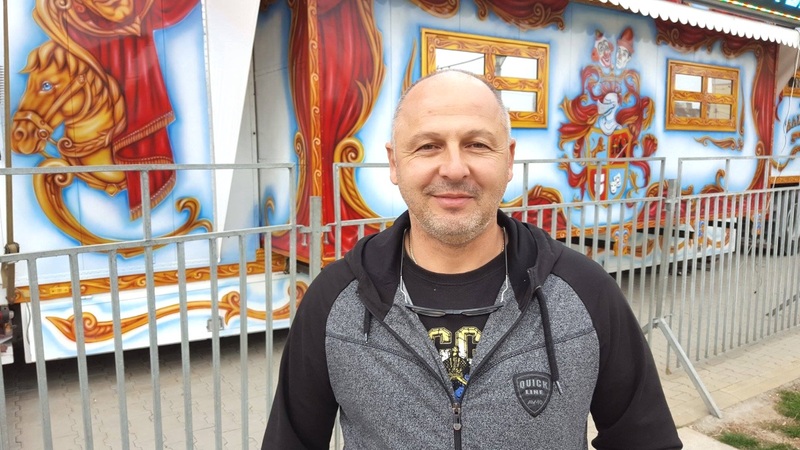 Yes, this Bulgarian makes things happen as well, high up in the circus tent. The sky is the limit.